Come and learn about feral pigs, foxes, dogs, cats, birds, fish, and weeds, as well as game camera tips, scats, and tracks. 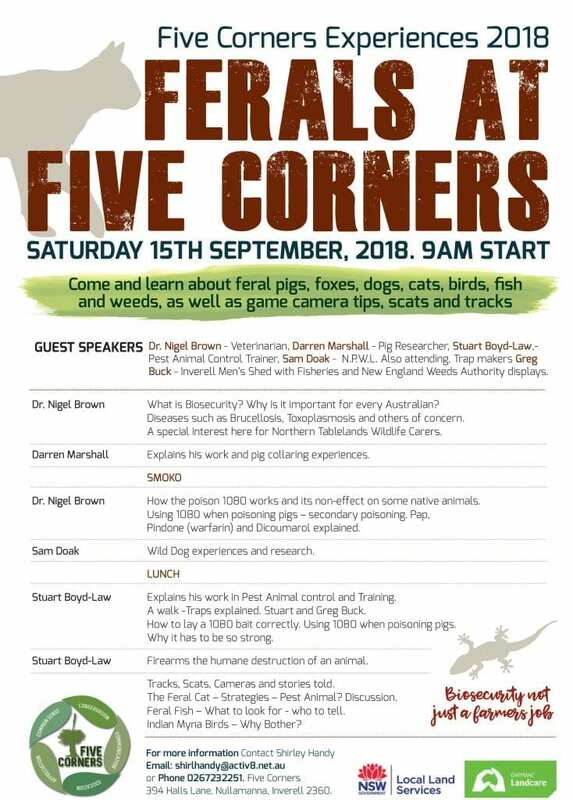 Guest speakers include Dr. Nigel Brown – Veterinarian, Darren Marshall – Pig Researcher, Stuart Boyd-Law – Pest Animal Control Trainer, Sam Doak – NPWL. Also attending, Trap makers, Greg Buck – Inverell Men’s Shed with Fisheries and New England Weeds Authority displays.